Pastel and oil on sanded canvas, 26" x 42", 1995. From memory, seen on the way into Manhattan from Newark Airport. This was a rainy night in 1995, my plane was very late getting in. 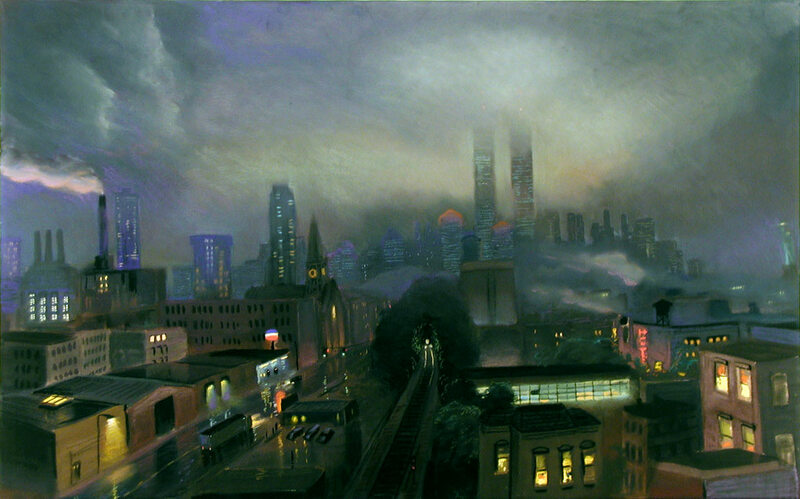 The twin towers of the World Trade Center disappear into the clouds. The Statue of Liberty can be seen at the right edge.